We focus our efforts on developing technology for all kinds of machinery and devices for granulation and coating and we are accumulating good results in Japan as well as overseas. Our products are mostly used for pharmaceutical products but they are also used in the field of added-value products such as foodstuffs, flavourings, seeds, toner, new ceramics and catalysts. By combining the comprehensive technological strengths we have accumulated up until now and the technological strengths of our group companies, we will continue to actively develop our business in the future. FLOW DRYER has been improved in all of these important points. 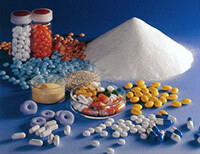 Suitable for all kinds of pharmaceutical capsules. It is equal to HEPA filter. SUPERCOLLECTOR is equipped with reverse-blow air cleanable HEPA Filter,FREUND/AVK Micron Filter. It is the cartridge filter washing device that washing validation is easy. This device automatically washes vessels (containers) used for the supply, transportation and storage of raw materials/intermediate products/products in the manufacture of pharmaceutical products.